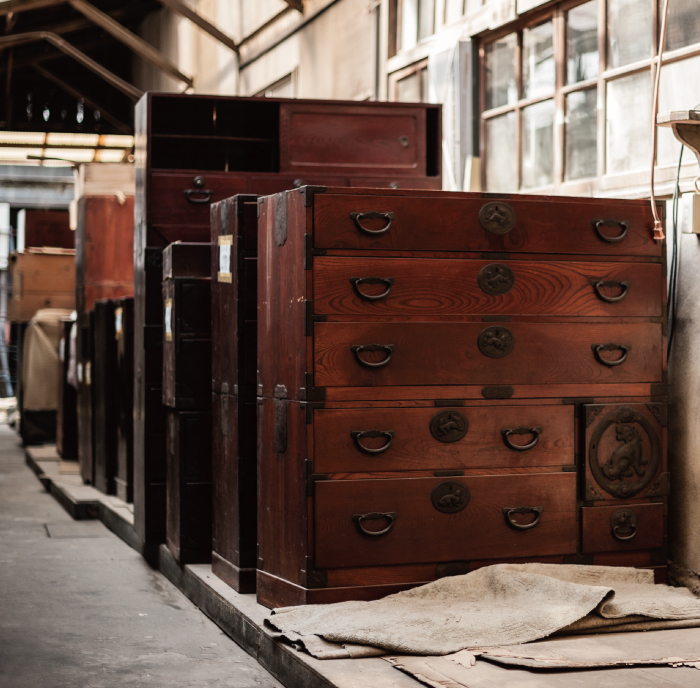 The genuine Sendai tansu has the ability to endure use for a century. In having gone through repairs as well it is possible to use it semipermanently. Even tansu damaged in tsunamis were brought back to life under the close and careful handwork of the craftsmen, returning to them a glow as though brand new. Please let us assist you in having a long and lasting relationship with this household object, to continue your family’s history along with all the memories. First, please feel free to contacts us. Please e-mail or give us a call.